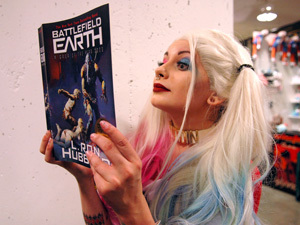 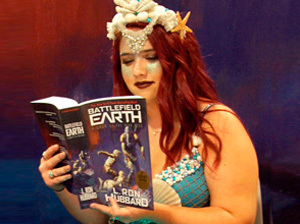 Dragon Con is one of the best events for book readers and so we found ourselves exceptionally well received with our new release of the Battlefield Earth 21st Century edition. 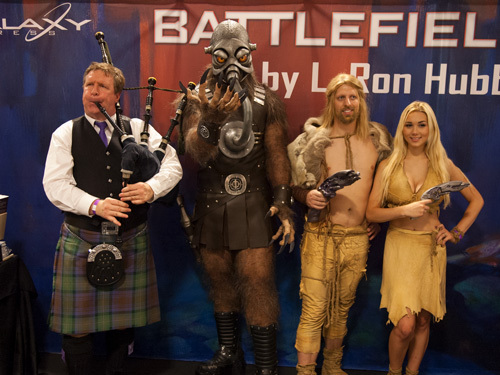 Terl (Nate Andrade), the Psychlo Security Chief, along with Jonnie Goodboy Tyler (Joshua Benk), Chrissie (Cheyanna Zubas) and a Scottish bagpiper (Brad Beaton) were on hand to help us. 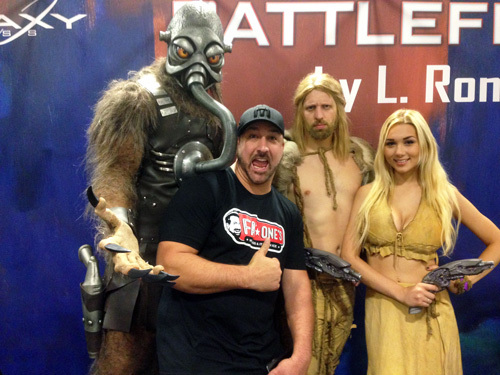 The booth was busy throughout the con with NSYNC singer Joey Fatone stopping by to check out our new release. 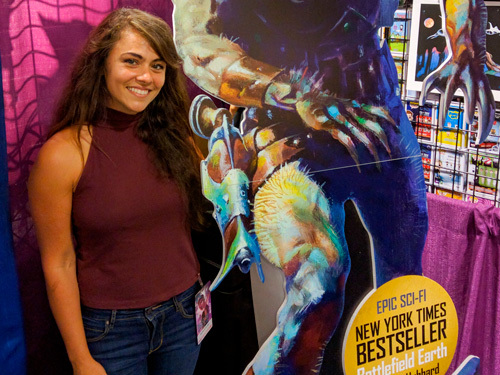 Sara Frazetta, who runs the FrazettaGirls.com, was very excited to see her grandfather’s cover art being used on the new book. 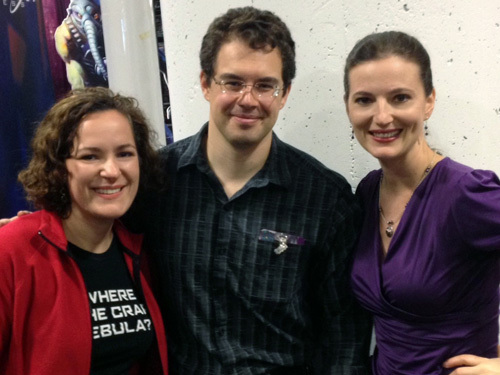 Christopher Paolini, author of Eragon, also came by to visit. 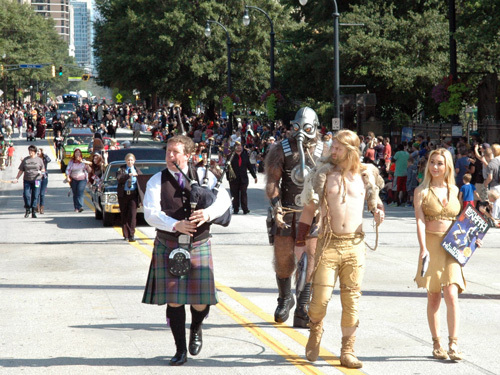 Then came the Dragon Con Parade with Terl, Jonnie Goodboy Tyler, Chrissie and our Scottish bagpiper. 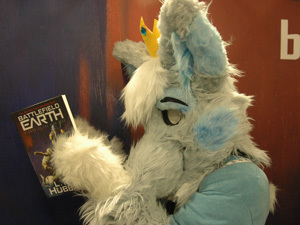 Back to the booth where all sorts of characters came by to visit. 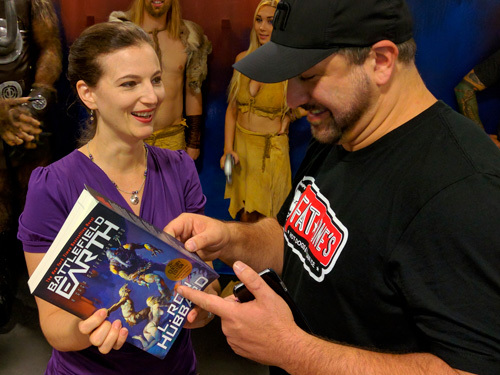 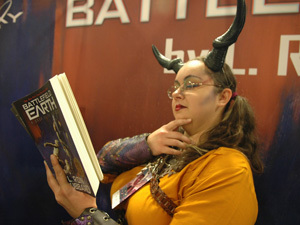 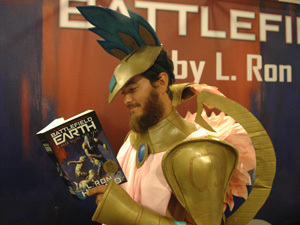 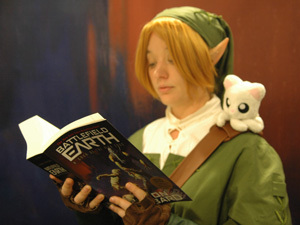 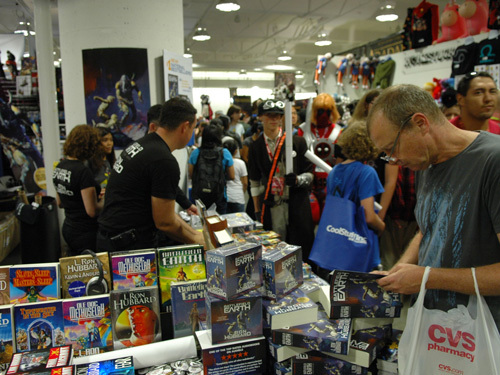 And then there were the hundreds of fans who came to our booth to get their copy of the newly released Battlefield Earth. 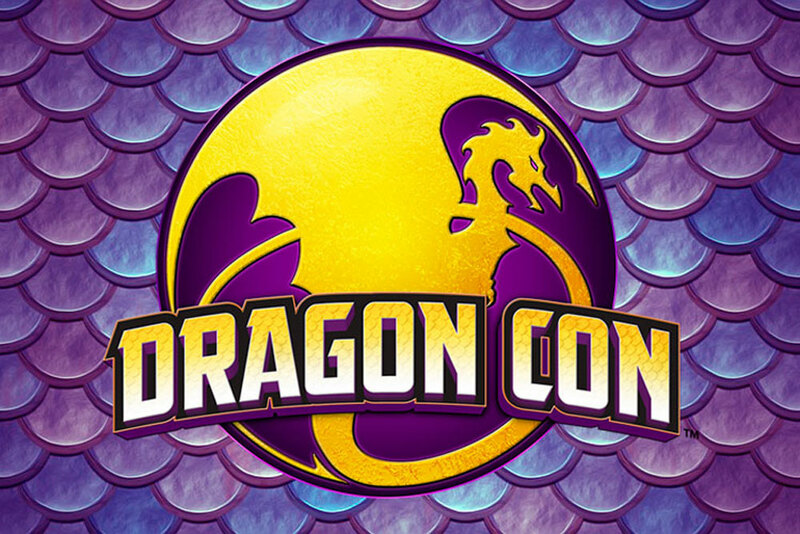 Finally, if you are going to be attending Dragon Con 2017, please do visit us at Booth #1610.